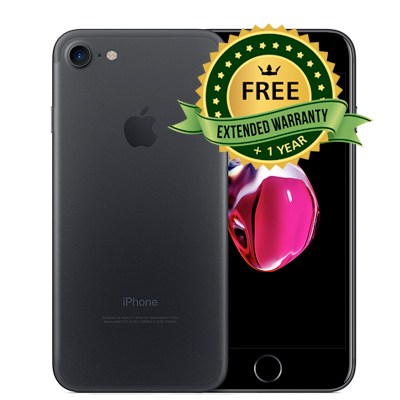 Twice as fast as the iPhone 6 with the longest lasting iPhone battery to date, the iPhone 7 is powered by the innovative A10 Fusion chip with 64-bit architecture and embedded M10 motion coprocessor. Take advantage of faster 4G LTE with the best worldwide roaming, up to 25 LTE bands and the ability to answer third party calls including WhatsApp on the go. Using the same colour space as the digital cinema industry, the iPhone 7's 4.7" Retina HD display with wide colour gamut (1334 x 750 resolution), is able to deliver cinema standard colours and Apple's best colour management to date. The improved 3D Touch is now integrated throughout iOs, allowing you to interact with Messages, Calendar, Mil and other apps in a more responsive manner. The IP67 rating and new customisable home button with Taptic Engine of the new iPhone 7 ensures the handset is Splash, Water and Dust Resistant. The innovative unibody design is constructed with 70000 Series aluminium, making it strong yet beautifully seamless to the touch. Touch ID offers sercurity for your handset and Apple Pay alike. 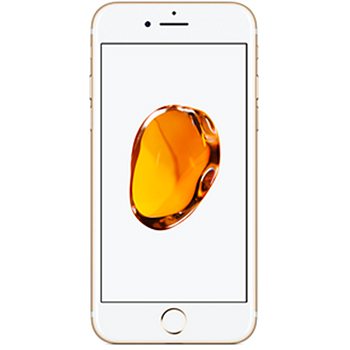 Offering twice the audio output of the iPhone 6S thanks to Apple's first ever stereo speakers with increased dynamic range, you'll be able to enjoy your music at a whole new level. The re-engineered 12 megapixel camera now offers optical image stabilisation, an ƒ/1.8 aperture and a six-element lens for improved capture in low light situations, with four smart LEDs that flash 50 per cent brighter than iPhone 6s. Shoot 4K video with slo-mo support in 1080p and 720p HD. A 7 megapixel front facing FaceTime camera is now higher resolution with wide colour capture and Retina Flash for ambient lighting. Organise and share your memories in an instant with the improved Photo app. Supporting Voice calls over LTE and on third party apps including Facebook and WhatsApp and high-quality wide band calls your conversations will sound as crisp and clear as if you were face to face. Take advantage of Wi-Fi calling which is now both are supported on even more carriers around the world. No matter where you're calls come from you'll never miss a conversation again.